GettyBritish Prime Minister Theresa May. Conservatives accused of using “inhumane” tactics as they seek to avoid defeat in crucial House of Commons vote on Brexit. Government whips are reportedly refusing to help ill and hospitalised Labour MPs take part in the vote, according to various reports. Labour Mp Naz Shah was seen in the Houses of Commons in a wheelchair, holding a sick bucket on her lap, after being forced to physically vote. 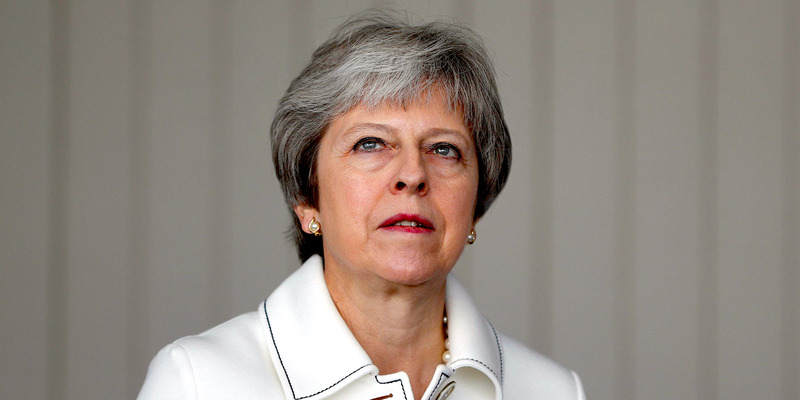 LONDON – The Conservative government has been accused of using “inhumane” tactics to avoid defeat in a key House of Commons vote on Brexit on Wednesday afternoon. MPs will this afternoon vote on an amendment which would give Parliament a “meaningful vote” on the Brexit deal Theresa May brings back from Brussels. This would effectively give MPs the power to veto a no-deal Brexit. The vote, scheduled for around 15:30 (BST) on Wednesday, is set to be close, with both Conservative “rebels” planning to vote against the prime minister and sources close to government confident of victory. Usually, MPs who are too ill to physically take part in parliamentary votes are “nodded through,” a long-standing tradition which involves them being taken by car, sometimes an ambulance, to the grounds of Parliament. By doing so, they are able to cast a vote without having to physically walk through the parliamentary lobby. However, the government has reportedly decided to suspend this tradition for the crunch vote on the “meaningful vote” amendment, meaning ill MPs must overcome their sickness to physically cast a vote. Labour’s Naz Shah, hospitalised this week, was seen being helped out of a car prior to the vote. She was seen later in the House of Commons after casting her vote in a wheelchair, in “lots of pain,” holding a bucket on her lap. A senior Labour source confirmed that ill Labour MPs were being made to physically participate. The Conservatives have been approached for comment. The “nod through” convention has been used many times in recent history to make sure MPs who were physically unable to attend the Houses of Commons did not lose their votes. For example, Conservative MP Nick Boles was allowed to remain in a car parked on the parliamentary estate in order to vote on legislation while receiving treatment for cancer.